I heart (yes, I just said ‘heart’ and trust me, it won’t happen again!) 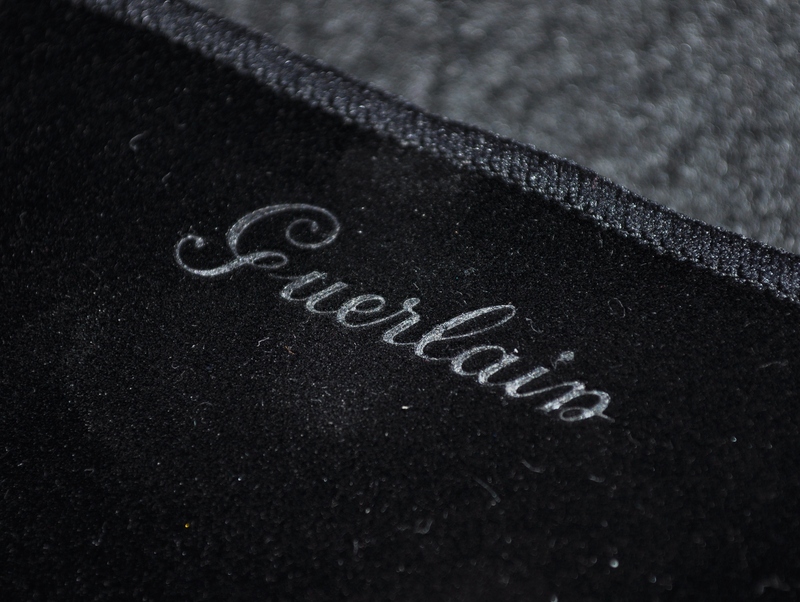 Guerlain products so much because they feel and look luxurious. Even though you’re shelling out quite a bit for them, the weight and design of the products makes you feel like you’re getting your money’s worth. Or at least that’s what I keep telling myself as I blindly hand over my money or ‘add to cart’. I bought this blush a few months ago and have been meaning to post about it and just never got around to it. 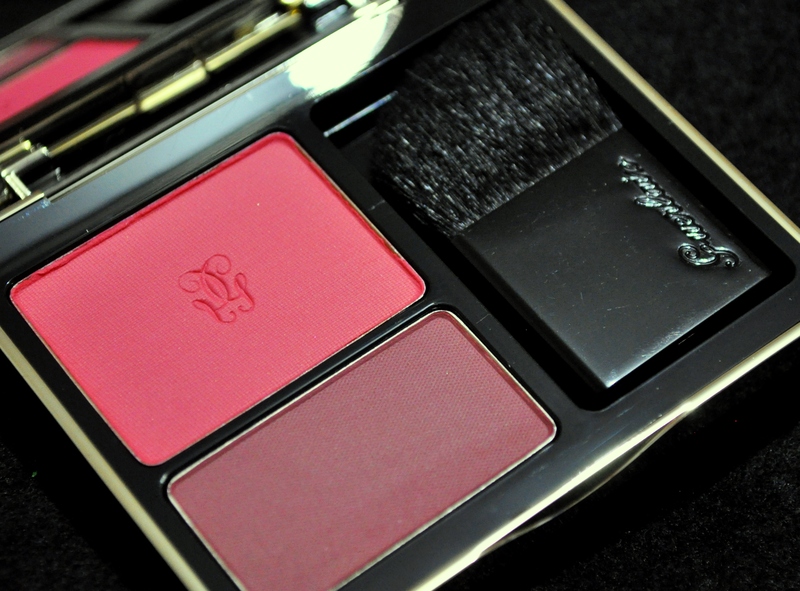 The Guerlain Rose Aux Joues (which means ‘Rosy Cheeks’ in French according to Google Translate) is a duo blush which contains two shades- one which can be used to create a pop of colour on the cheeks and the other to be used as a contour shade or you can mix both or just use them on their own. 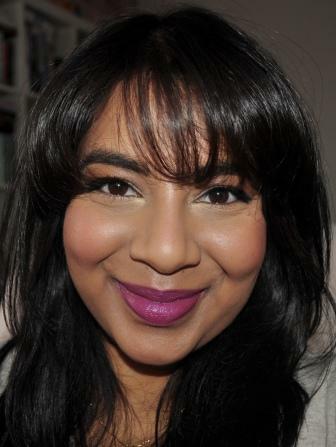 When I talk about using it as a contour, I don’t mean in the Kim K meaning of the word but more in the Bobbi Brown way which means applying a neutral shade along the cheekbone and a brighter shade just on the apples. 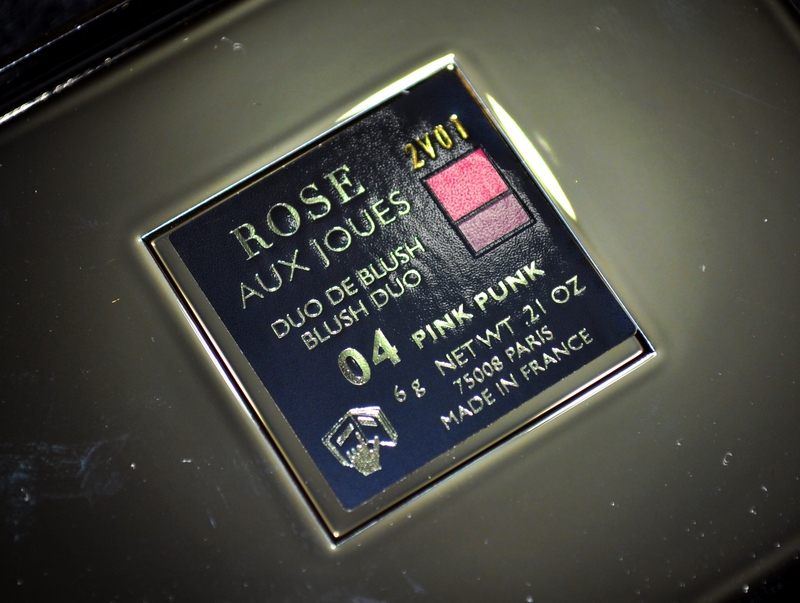 The product comes in 6 shades but shade 04 Pink Punk, is the only one I really wanted because the darker shade in the duo was different to other blushes in my collection. The dominant shade is a really pretty warm pink which is almost a coral while the other is a darker plummy-mauve. The product also comes with an included brush which is really soft and could be used if you were travelling. I prefer rounded blush brushes to flat ones so I don’t tend to use the included brush. What I found curious about this product was that the two shades had different textures and pigmentation. The top shade was smooth and picked up really easily on my brush. It’s also quite pigmented so I didn’t need a lot of product. The bottom shade, on the other hand, was quite hard and lacked pigmentation. I had to really get into it to get the swatch below. That being said, it would probably show up better on you if you’re of a lighter skin tone. 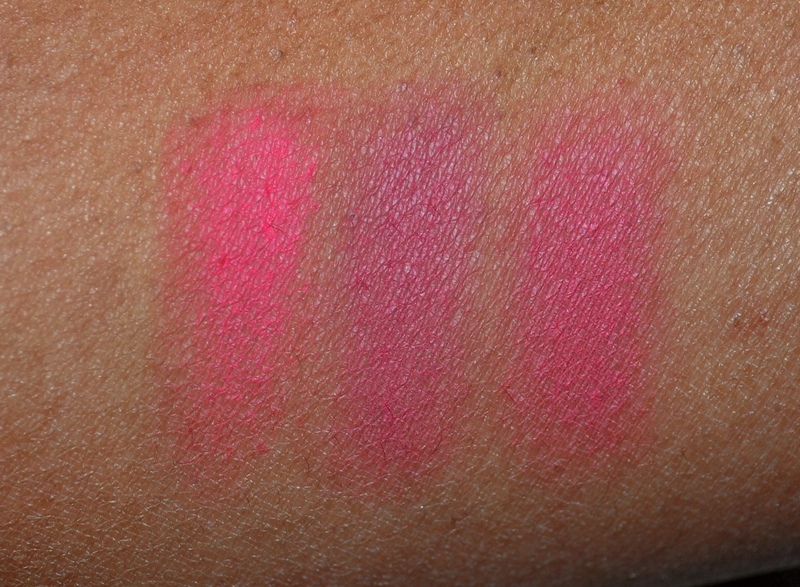 I’ve swatched the top shade, the bottom shade and then showed both shades mixed below. Due to the issues I had with the pigmentation of the bottom shade, I don’t use it on its own and usually just mix both colours together or use the top one on its own. Even if it were more pigmented, I’d find it difficult to just pick up the bottom shade on its own since the pan is quite small. You could do it if you used the included brush or something similar such as the NARS Ita brush but otherwise you’d have to pinch the brush hairs together to pick up only the smaller shade. 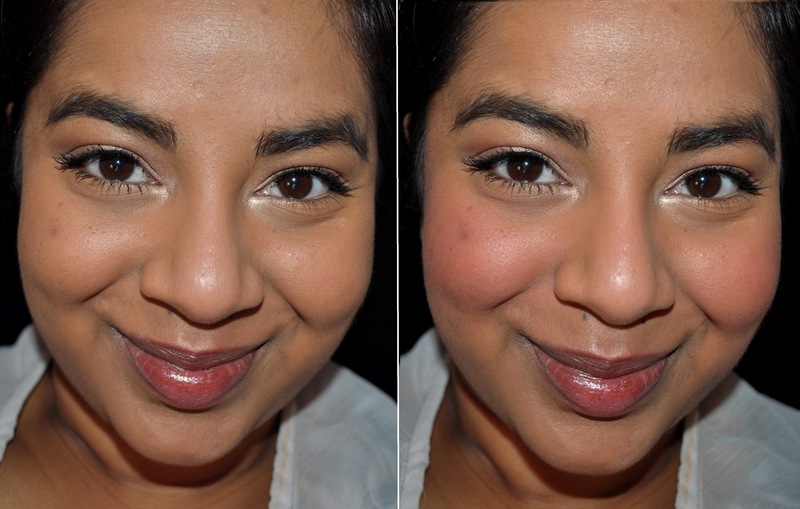 I’ve showed what my cheeks look like without the product and with both shades mixed. The blush gives a really pretty flush to my skin and lasts well throughout the day but, for the price ($50 US/$62 AU), I’d have expected both shades to be pigmented and not just one. If you love the top shade enough then it might be worth the splurge but I don’t think it’s unique enough to justify the money considering almost half the product doesn’t show up well (on my skin tone at least). 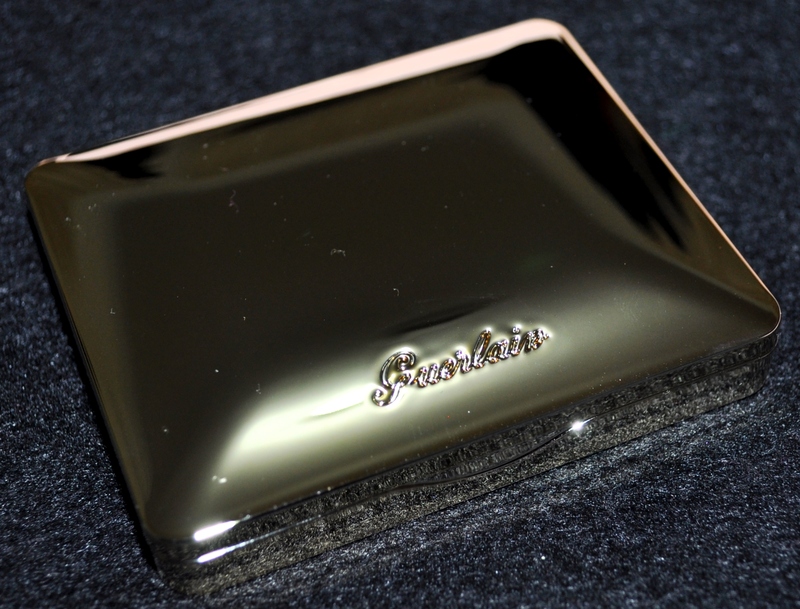 It pains me to leave a not so positive review on a Guerlain product but I have to be honest. My recommendation is that you definitely try this on yourself before buying to see if it works on you. Have you tried this shade before? What are your thoughts on it?